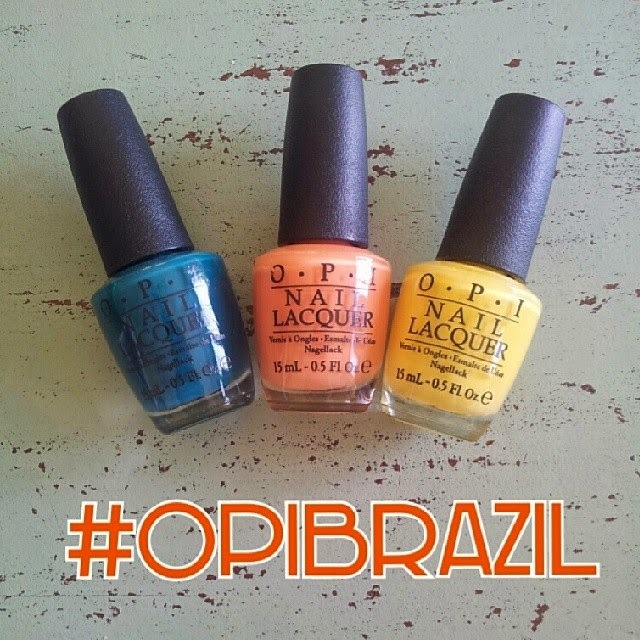 In order to celebrate the upcoming Football World Cup, OPI has lately launched his spring/summer collection getting inspiration from the the Country who will be hosting this great event: Brazil. The collection features 12 new shades, and most of them are cremes. 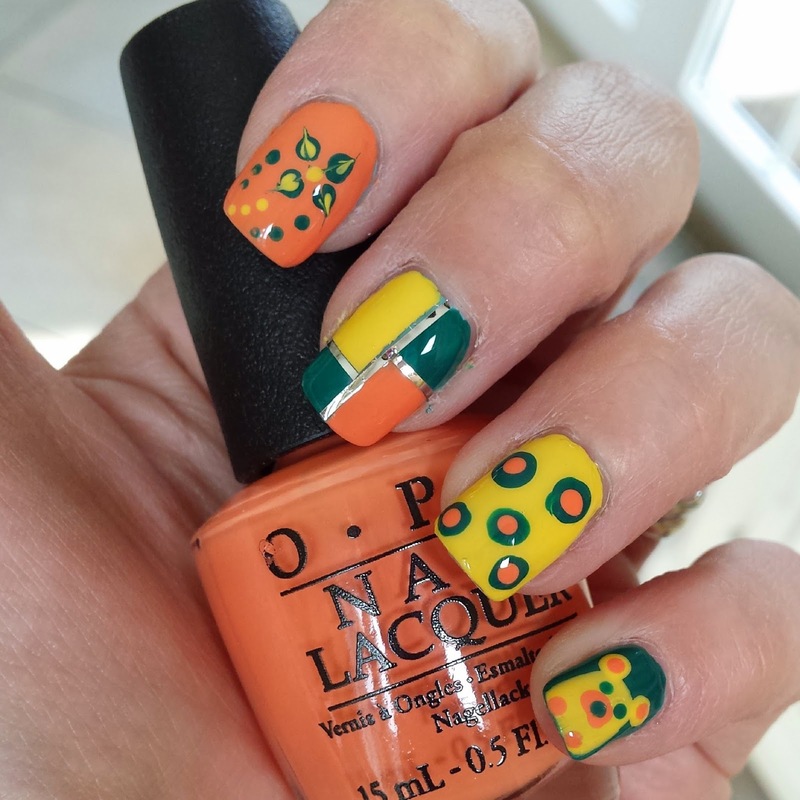 I've received 3 nailpolishes from the Brazil Collection to test: Amazon...Amazoff, Where did Suzi's Man-go? and I just can't cope-cabana. Of course I would never wear these nailarts all togheter :) I just wanted to show you 4 different designs so that you can take inspiration from them. 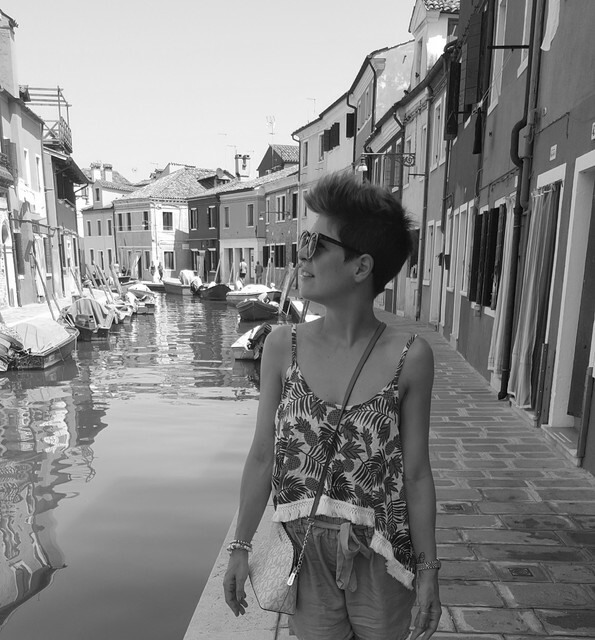 Hope you like them.